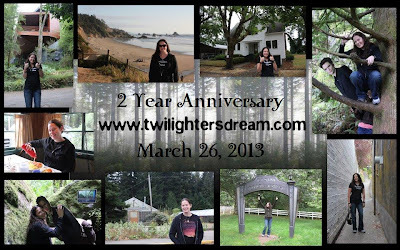 Too celebrate the Two Year Anniversary of my blog and Facebook page I hosted TWO GIVEAWAYS!!! The first giveaway ended on Tuesday, March 26. There were 6 winners. I am still waiting to hear from the sixth winner. Lora Winship if you are reading this please email me your address so I can send you your ornament. You have 48 hours to email me. If I don't hear from you then I will be choosing another winner. You have until 10pm EST on Monday, April 1st to claim your prize. Now for the second giveaway!!! I held another random.org drawing and chose 3 winners to receive an autographed copy of Breathless by Scott Prussing. If you didn't win a copy of Breathless but would like to check out this great series by Scott Prussing you can order his books from his website or download the e-books from Amazon. It's a fangtastic series and I just love it!! I recommend you check it out!!!! It will leave you breathless. Scott has also written several other books outside of the Blue Fire Saga and most recently Letting Go and Falling which I just downloaded and can't wait to read!! Congratulations to all our winners from both giveaways and thank you to EVERYONE who entered. Also BIG THANK YOU for all your support and interaction on the blog over these past two years. I sincerely appreciate it!!! Enjoy the rest of your weekend and HAPPY EASTER!!! I announced last night that I would be having another Two Year Anniversary Giveaway!!! This giveaway I am excited about. 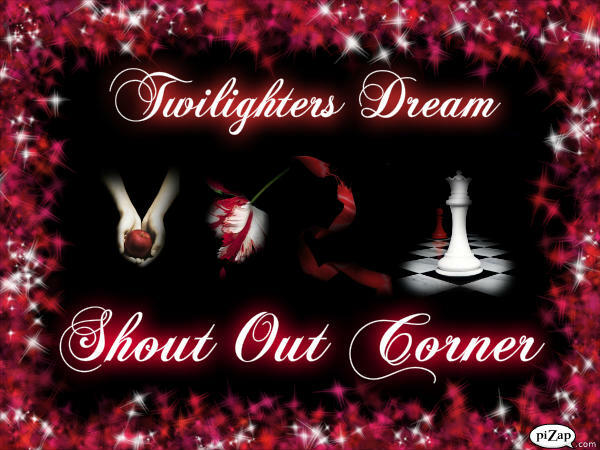 My author friend, Scott Prussing, contacted me last night and he wants to celebrate Twilighters Dream Anniversary by giving away THREE AUTOGRAPHED copies of his book Breathless. If you're not familiar with Breathless than you should be!!!! It's a great series and so far there are 5 books in the Blue Fire Saga and I love them all!! I am even a member of the Golden Circle. :) Breathless is the first book in the series. Once you read it you will be hooked!!! BELIEVE ME! To enter the giveaway all you have to do is COMMENT "I'm #KeepinTheSparkleAlive" on the Breathless picture that is posted and pinned to the top of the Twilighters Dream Facebook Page. Everyone who comments will be assigned a number. Only one entry per person. This weekend I will be doing a random.org drawing and choosing THREE WINNERS to receive an autograph copy. The drawing will be on Saturday, March 30. Time to be announced....but you have at least 3 days to enter. Head over to Twilighters Dream now on Facebook to enter!!! To celebrate the Two Year Anniversary of my blog and Facebook Page I hosted a giveaway!!! Originally I had announced that two winners would receive an "Edward and Bella Wedding" 2012 Hallmark Keepsake Ornament each. However I am all about KEEPIN THE SPARKLE ALIVE so I had a surprise in store for you all and I gave away four more ornaments!!!! That's a total of SIX WINNERS!!! Congratulations to all our winners and thank you to everyone who entered. Also thank you for all your support and interaction on the blog over these past two years. I sincerely appreciate it!!! 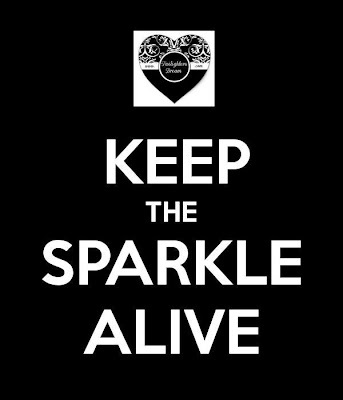 Remember to always Keep the Sparkle Alive!!! so I can send you your ornament. I'd also like to give a special shout out to those pages that showed me some love and shared the giveaway with their fans. If you haven't already checked out their pages please do so!!! Be sure to stay up to date and follow Twilighters Dream. I was unable to make contact with one of the winners from the Two Year Anniversay Giveaway. I have re-drawn another winner for the "Edward and Bella's Wedding" ornament. Congratulations to #60 - Christina Twimom Gholson!! Please email me at twilightersdream@gmail.com your address so I can send you your ornament. 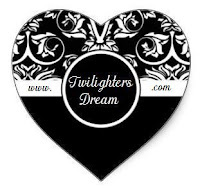 Twilighters Dream Blog and Facebook Page. In celebration of this momentous occasion I am having a GIVEAWAY!!! I cannot think of a better way to celebrate than that!! 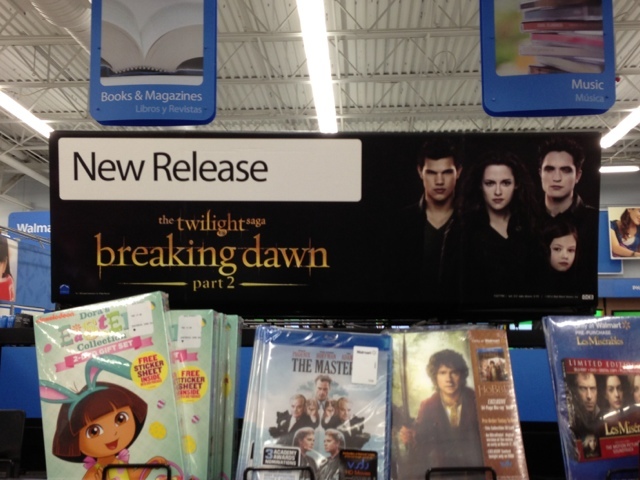 This is my way of saying THANK YOU for allowing me to share my love of all things Twilight with you. I truly appreciate all your comments, emails, postings and interactions that you have shared with me as well over these past two years. I am so lucky and thankful to be apart of such a great fandom. I have thoroughly enjoyed this experience and look forward to what the future brings.....NOW TO THE GIVEAWAY!!! 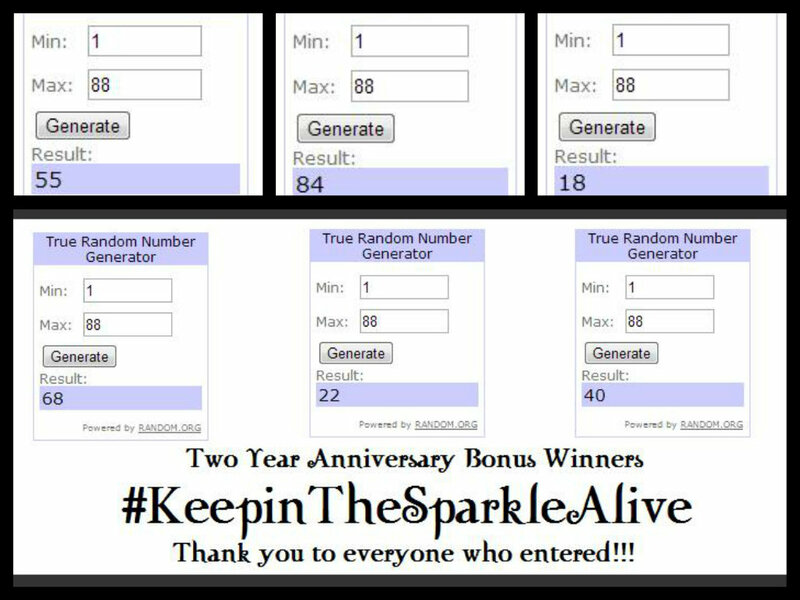 To enter into the giveaway all you have to do is COMMENT "I'm #KeepinTheSparkleAlive" on the 2 Year Anniversary picture that is posted and pinned to the top of the Twilighters Dream Facebook Page. On Tuesday, March 26th at 9pm EST I will be doing a random.org drawing and choosing TWO WINNERS! 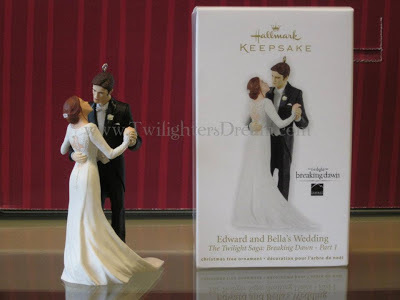 Each winner will receive a "Edward & Bella Wedding" 2012 Hallmark Keepsake Ornament. This giveaway is open to EVERYONE!!! US and International entries will be accepted. You have until Tuesday, March 26 at 9pm EST to enter. Good Luck and Thank You again for all your support over these past two years!!! 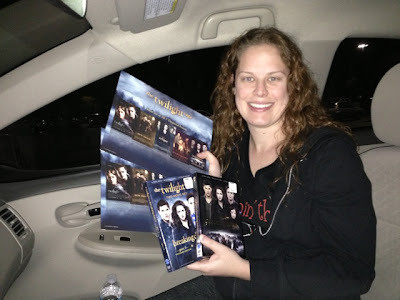 “Partnering with Forever in Forks is a natural fit for Stephenie Meyer Day and the Olympic Coven,” said Staci Chastain, organizer of Stephenie Meyer Day 2013. “Like us, they’re committed to providing the best fan experience possible, and we’re thrilled that 100 per cent of the party’s proceeds will be benefiting Stand Up 2 Cancer. There are two ticket packages available for purchase. For $200, fans gain access to all of the Forever in Forks events during Stephenie Meyer Day weekend, which includes a catered welcome breakfast at Tilicum Park and picnic at First Beach on Friday; viewings of BREAKING DAWN: PART I and II on Saturday morning; entrance to the Forever in Forks party on Saturday evening; and a catered farewell breakfast at Tilicum Park on Sunday. For $125, fans can purchase a ticket to the Forever in Forks party. To purchase tickets or learn more about the packages and events, please visit http://www.foreverinforks.com/2013/03/tickets.html. 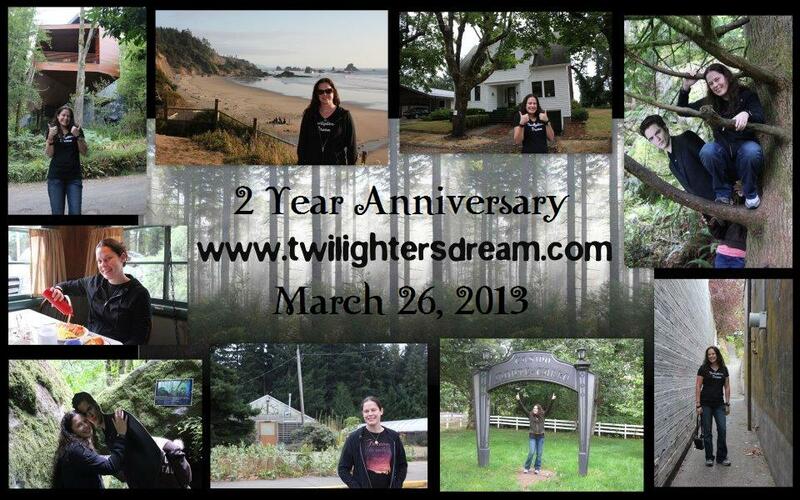 Forever in Forks is an annual gathering for TWILIGHT fans to come together in support of a good cause. Each year, a Forever Party is held in a TWILIGHT-related city, with proceeds going toward a chosen charity. In 2012, Forever in Forks raised $2,500 in Los Angeles for Alex’s Lemonade Stand. To learn more about Forever in Forks, please visit http://www.foreverinforks.com/. My blog now has 15,000 likes!!! I went to Walmart last night for the Midnight DVD Release Party. They served cupcakes with Edward, Bella and Jacob rings on them. 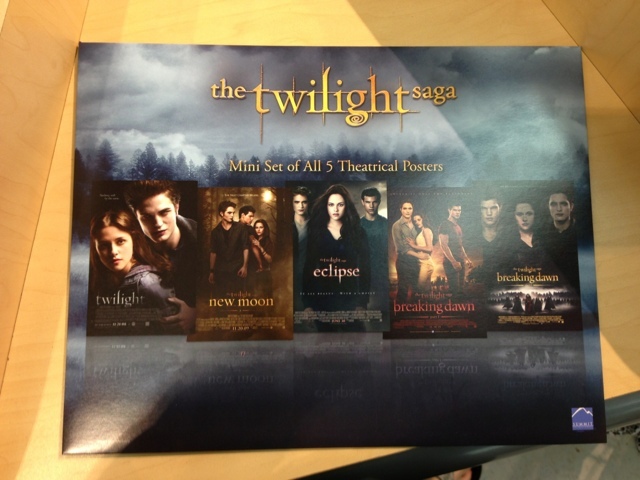 Plus when you purchased your DVD there you got a mini poster set of all 5 movie posters. Yay!!!! I was so happy because I called 3 Walmart's last night and they said they weren't doing anything. When I got there they had the posters so I was a happy Twilighter! 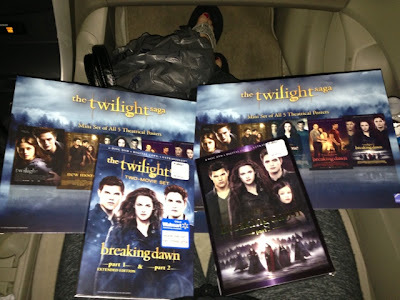 I picked up the Breaking Dawn Two Movie Set with the extended edition of Part 1 and the Breaking Dawn Part 2 Two Disc DVD!! framed picture or Edward & Bella from Part 2. This will match the picture I got last year from F.Y.E. of them in Part 1. Hopefully the mail will arrive today with my Target 3-disc set and poster! I can't wait to see that!! Let the TWILIGHT SAGA MARATHON BEGIN!! To help me pass the time until the Midnight DVD Release of Breaking Dawn Part 2 I uploaded some videos that I took during the Live Q&A after The Host Movie Pre-screen in Miami, FL on 2/18/13. I still can't believe we were able to make this trip, watch the movie and meet Stephenie, Max & Jake!!! It was such an amazing moment that I will never forget. Truly awesome!! !